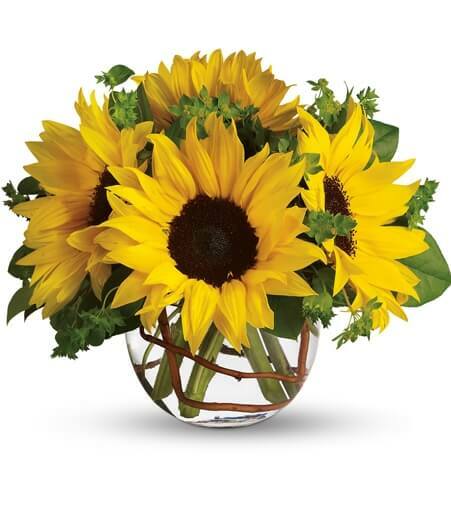 Yellow is one of the more popular color flowers when sending get well soon flowers. 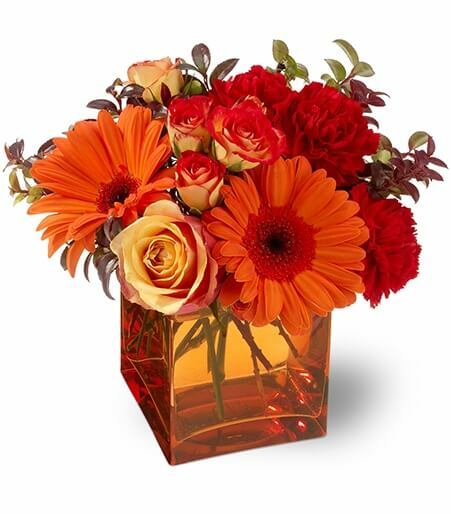 This is due to its bright and happy hue, much like the cheerfulness of the sun. 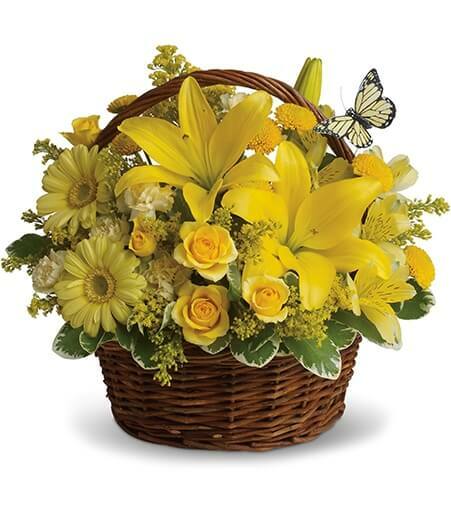 Yellow has a tenancy to evoke joy and lightheartedness, which also makes them great for thank you, everyday, birthday, and anniversary. 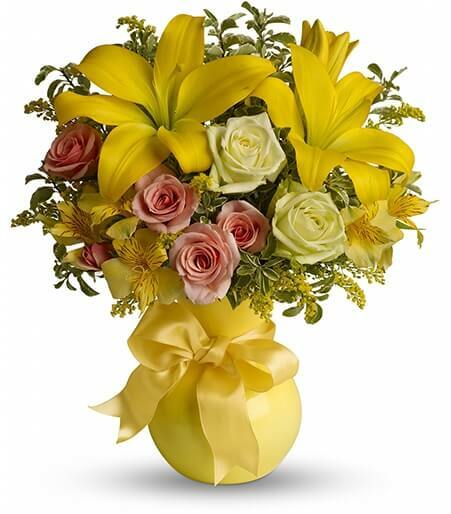 If you want to send a bright and happy arrangement to a woman in the hospital as a get well, mixing bright yellow flowers with soft feminine colors gives a sweet balance. 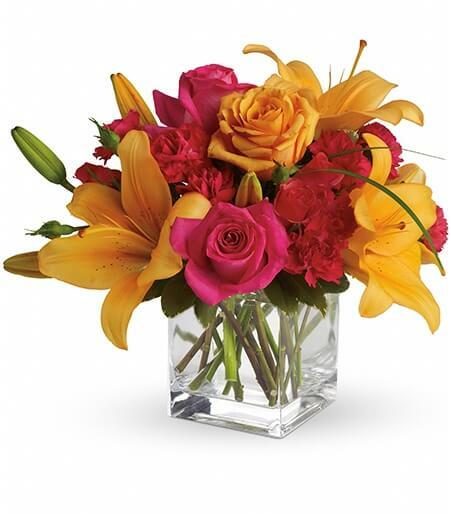 The Teleflora's Sunny Smiles would be perfect for a woman that could use some cheering up while they are sick or injured. Perhaps you’d prefer to stick with strictly all yellow. 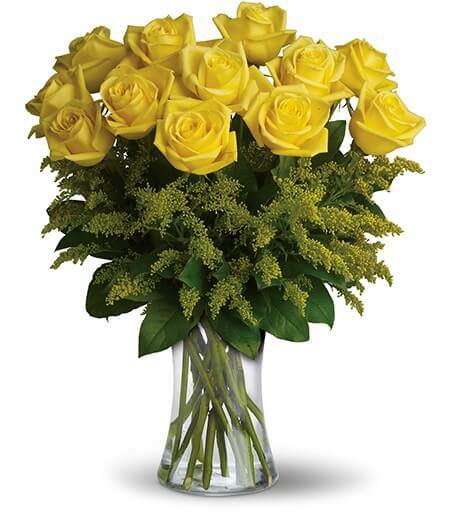 This all bright yellow rose bouquet is perfect in wishing a friend a quick recovery. 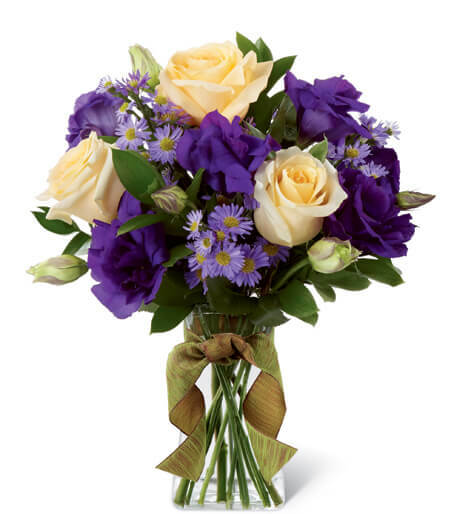 When sending get well flowers for a man a beautiful mix of yellow accented with greens will give a strong masculine feel to help your friend know you’re thinking of them. 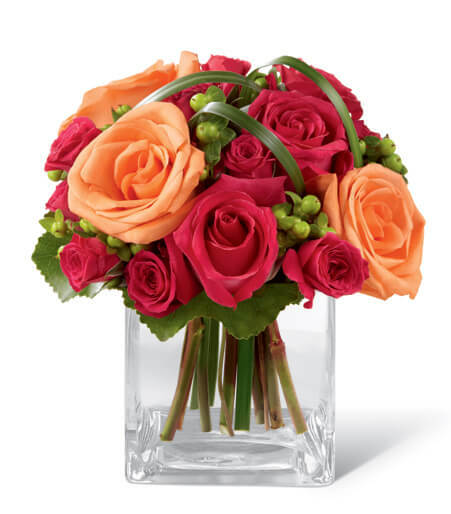 The Oh Happy Day by Teleflora is a stunning example of that. 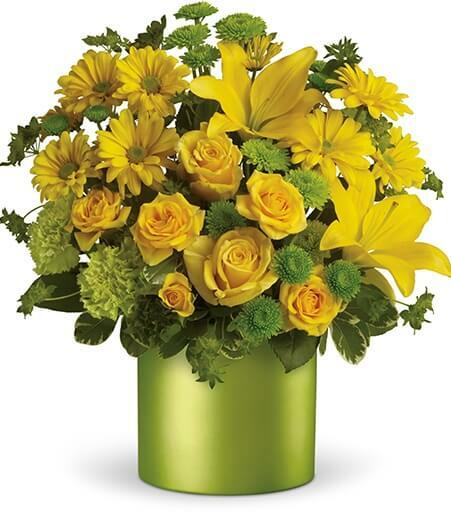 The Daylight Bouquet is equally as strong with its yellow gerbera daisies, yellow roses, and yellow chrysanthemums. 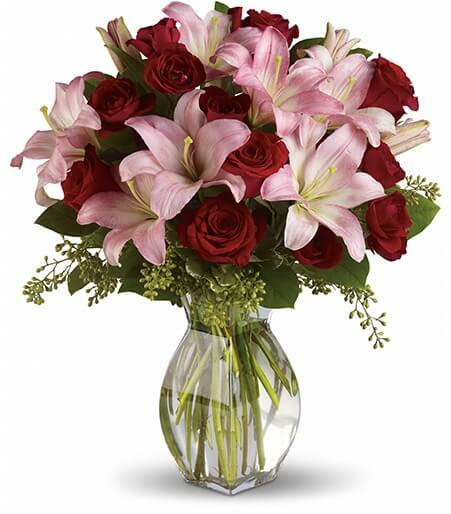 Sending flowers to a coworker can be tricky, depending on how well you know them. However you should let that stop you from wanting to show your concern and that you’re missing their hard work while they are ill. 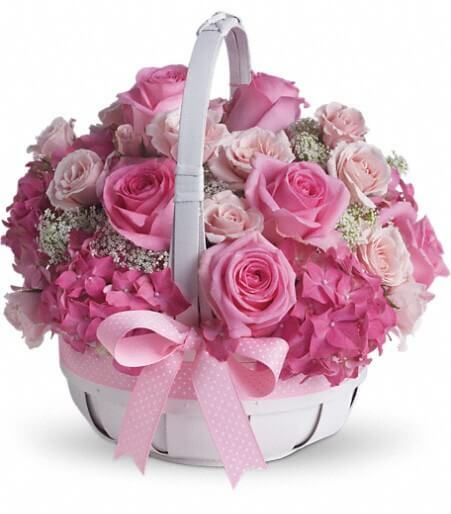 The Basket Full of Wishes is a great friendly reminder that you’re hoping they will be back on their feet soon. 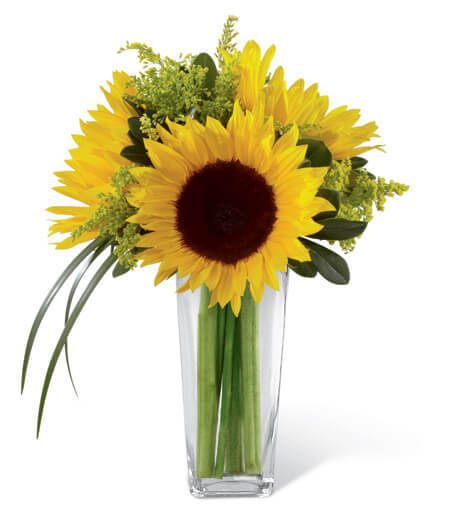 Even a simple vase arrangement filled with sunflowers is a great way to show you care. 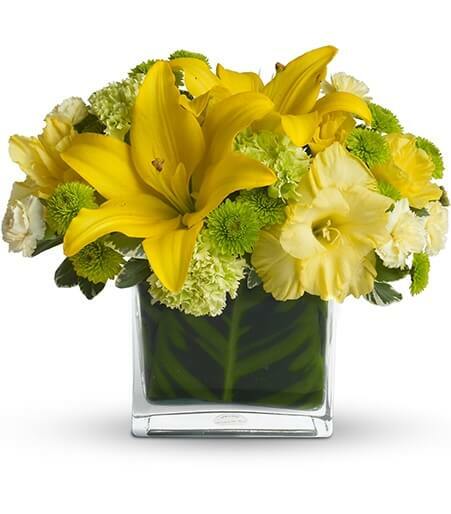 When a child in your life is ill and you can’t be there for them, sending a bright yellow flower arrangement will show them you wish you could be with them and how much they mean to you. 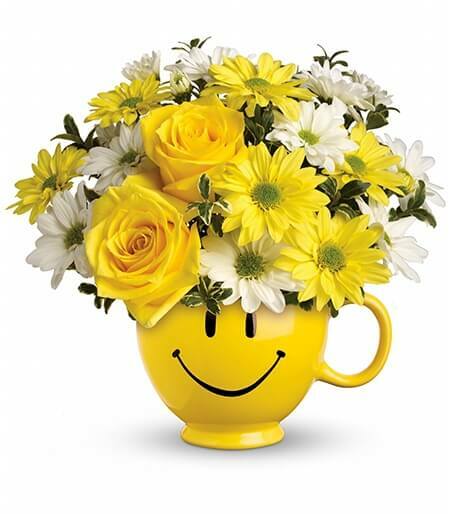 Send you love and well wishes with this cute happy face mug arrangement which is sure to put a smile on their face.